Buck is a circuit bender and multi-media artist in Chicago. He is also regular presence at Roth Mobot’s weekly Electronic Symposium meetups at Lizard’s Liquid Lounge and has recently been making some really interesting instruments and video work. 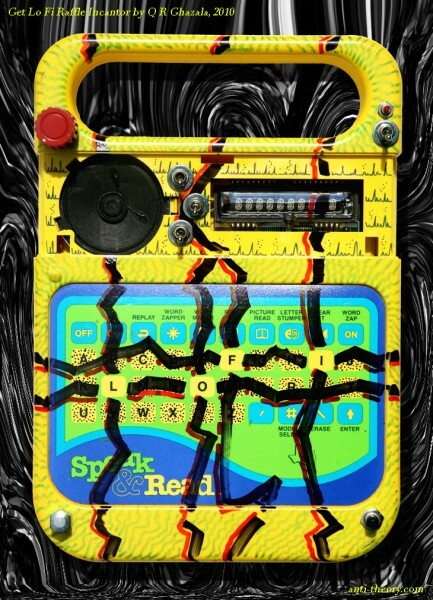 At the 2010 Experimental Garage Sale Buck won the raffle for an circuit bent Speak and Read aka Incantor that Reed Ghazala graciously created for the event. There after Buck was inspired to create this video, combining Incantor sounds with creepy found video of a woman who makes bad decisions and encourages you to do the same. I also really like this video, which uses camera phone footage of a wrecking ball combined with burbly synths work to bang out some industrial grooves. This is the kind of LoFi experience we can really get behind.